Chitrangada Singh attended a special screening of Soorma, her first film as a producer, on Wednesday night in Mumbai. The film's lead actors Diljit Dosanjh and Taapsee Pannu gave the screening a miss. Chitrangada was all smiles as she arrived at the venue. 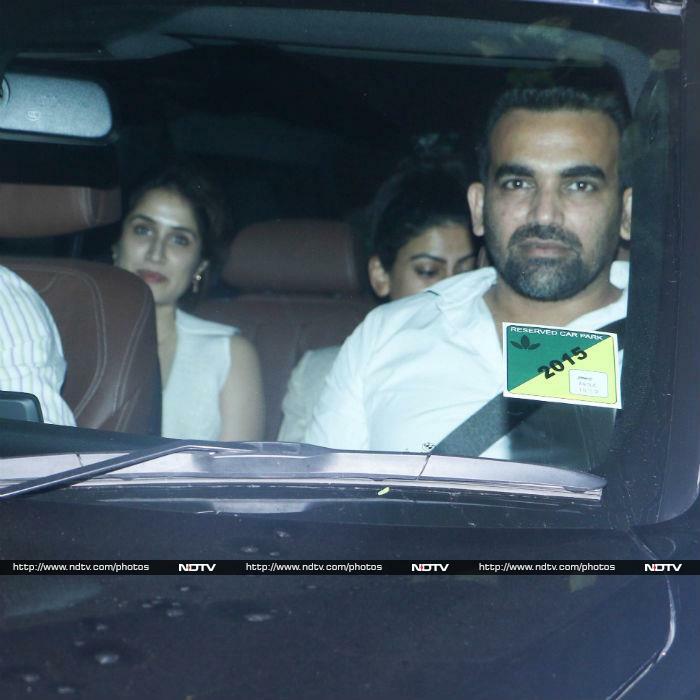 Zaheer Khan and Sagarika Ghatge were among the early arrivals. Look at Richa Chadha's dazzling smile. Shabana Azmi and Divya Dutta carpooled. Angad Bedi, who stars in Soorma gave a double thumbs-up to the paparazzi. Aparshakti Khurana was also there. We also spotted filmmaker Subhash Ghai at the screening. Atul Kasbekar greeted the shutterbugs with a smile.